for more information on definitions and aspects of universal healthcare. The data presented here is all gathered from publicly available sources and is open for anyone to use. 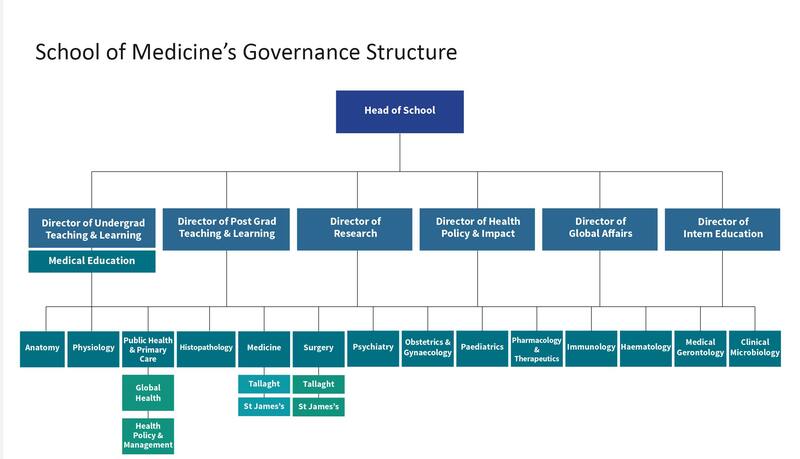 Please attribute to The Centre for Health Policy and Management, Trinity College Dublin if using any of our graphics or analysis. Excessive waiting times is an indicator of poor quality of care in a health system because it shows that the system does not have the capacity to meet the demand for the service. Additionally, in a two-tier system like the Irish one, long waits also result in unequal access to care since waiting is a feature of the public system to a much higher degree than it is for private patients. Any health system will always have some waiting but it is the length of the wait time that is crucial to access and care outcomes. Some patient waiting ensures hospital efficiency because the supply of patients remains constant and expensive hospital services can be used at full capacity. Problems only arise when waiting times grow long (generally above three months for non-urgent cases). Some patients experience deteriorations in physical functioning, vitality, social functioning, mental health and general health when waiting longer than three months for a procedure. Long waits contribute to hospital costs and inefficiencies because hospitals must use resources to administer waiting lists and to reassess patients’ conditions after their long waits. The two charts below illustrate the rise and rise in wait times faced by Irish patients in the public healthcare system. 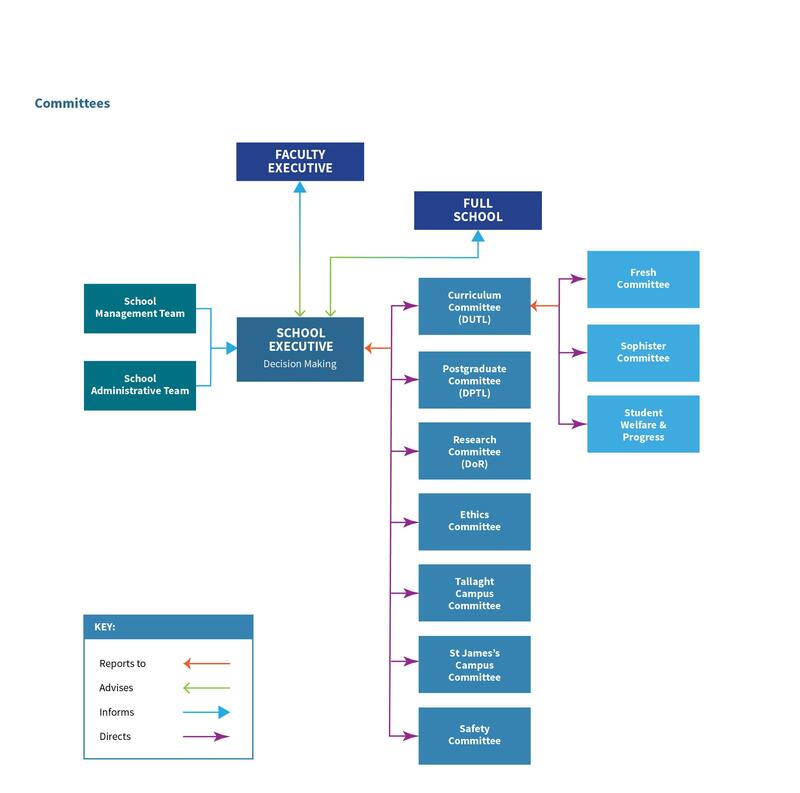 The first chart, ‘Waiting times – outpatient procedures 2012-2016’ documents the numbers of individual patients waiting from GP referral to their first appointment with a specialist. In August 2016, there were 280,141 individuals waiting over three months for an outpatient appointment. 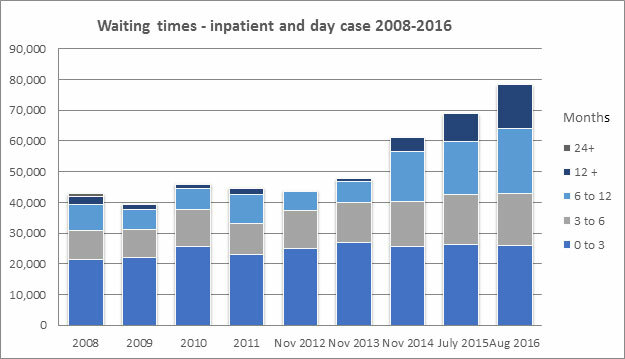 The next chart, ‘Wait times – inpatient and day case 2008-2016’ shows the numbers of individual patients waiting from diagnosis to treatment. In August 2016, there were 52,562 individuals waiting over three months for treatment. The rising trend in waiting times is clear in both charts. 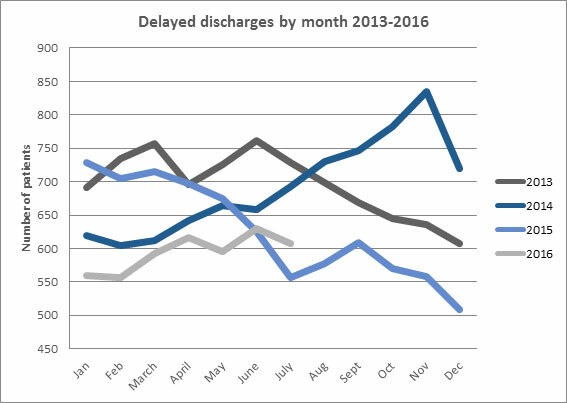 Delayed discharges is another indicator of capacity problems leading to poor quality of care. Delayed discharges indicate a lack of capacity in services patients need following a hospitalisation, such as a homecare, a step-down facility or a nursing home place. When these are unavailable, a patient remains in hospital although they technically have no medical need to be there. The result is that acute beds are not made available which leads to blockages in other places in the system, such as the emergency department which is a common entry point for hospital care. The cost to individual patients is also high – most people unnecessarily spending time in a hospital ward would rather leave to go home or to the next part of their care. And patients at the other end of the spectrum, those who are just being admitted, end up on trolleys rather than being in a proper bed. The effect of delayed discharges is felt especially acutely in hospitals with a high occupancy rate because there is no buffer to absorb extra patients. The extremely high occupancy rates in Irish hospitals put patients at higher risk of infection. Issues of capacity thereby compound each other at the expense of patients, staff and budgets. An acute myocardial infarction (AMI), also known as a heart attack, occurs when a blood clot prevents blood flow to the heart causing tissue damage. AMI is treated by inserting a balloon in the coronary artery which pushes the clot away and inflates the artery. The time between an AMI and the reopening of the artery is critically important for a good prognosis and emergency care is now guided by specific protocols that ensure that care is given to patients within minutes of arriving in the emergency department. In-hospital mortality within 30 days after AMI is defined as the number of patients aged 45 and over who die in hospital within 30 days of being admitted with a principal diagnosis of an AMI, as a proportion of the total number of patients aged 45 and over admitted to that hospital with a principal diagnosis of an AMI. As shown in the chart below, Ireland has seen a downward trend in AMI 30-day mortality and compares well to a selection of OECD countries with regards to this indicator. Specifically, in 2010, out of 100 people admitted to hospital with AMI in Ireland, 7.5 died in hospital within 30 days of admission. In 2011, the number had fallen to 6.8 out of a 100, a number which held in 2012 as well. In 2013, a further reduction was seen and the AIM morality this year was 6.4 per 100 admissions. Chronic obstructive pulmonary disease (COPD) is an umbrella term for a set of common progressive lung diseases and is the most common cause of emergency hospitalisation of adults for a specific disease in Ireland. Hospitalisation can be required when a patient experiences sever symptoms or complications but often COPD can be managed by the patient and their provider team in a primary care setting. According to the OECD the hospitalisation rate for COPD is an indicator of the performance of a primary care system because “the evidence base for effective treatment is well established and much of it can be delivered at a primary care level. A high-performing primary care system can reduce acute deterioration in people living with COPD and prevent their admission to hospital.” (OECD, 2015) The high hospitalisation rates for COPD in Ireland, then, are an indication that our primary care system is not performing adequately. The COPD hospitalisation rate shown below is defined as the number of hospital admissions with a primary diagnosis COPD among people aged 15 years and over per 100 000 population. Ireland has seen an upward trend in COPD hospitalisation rates and we compare poorly with other OECD countries with regards to this indicator. Specifically, in 2010, 359.2 people out of 100,000 Irish were admitted to hospital because of being ill with COPD. In 2011, the number had grown 367.7 and in 2012 it was 397.8. In 2013, a slight reduction was seen and the COPD hospitalisation rate was 394.9 per 100,000 people. Internationally, universal healthcare systems provide entitlement to packages of care ie what services everyone is entitled to in their health system. In Ireland, because we simply do not have a universal system, there is no such thing as a package of care. Accessing services depends on whether one has a medical card, a GP visit card, private health insurance, and one’s ability to spend private income on health services, as well as where one lives and what type of services one is trying to access. Ireland is exceptional in terms of the fragmented, complex nature of healthcare and in the unequal access to essential diagnosis, treatment and care. Because of the nature of the Irish system, we do not have actual indicators to show with certainty who has access to what kinds of care. However, we do have proxy indicators that give us parts of the picture, as shown below. 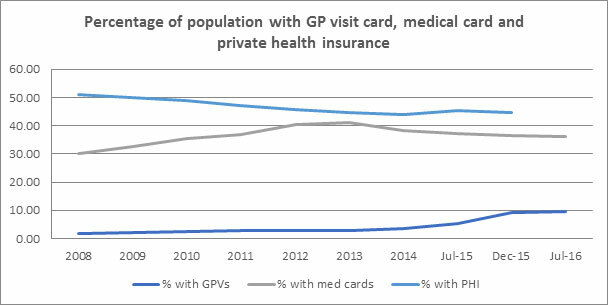 In July 2016 almost 10% of the population had GP visit cards, a number which grew substantially in 2015 as children under 6 and people over 70 became entitled to them regardless of income. The current percentage of individuals with a medical card is 36%, down from a spike in 2012 and 2013 as the effects of the recession took hold and many families’ incomes dropped. Finally, the graph below shows how 50% of the population had private health insurance in 2008. This fell to 45% in December 2015. Getting a detailed understanding of the various resource streams within the Irish health system is challenging based on the available data. One indicator we do have access to is the total number of people employed in the HSE. 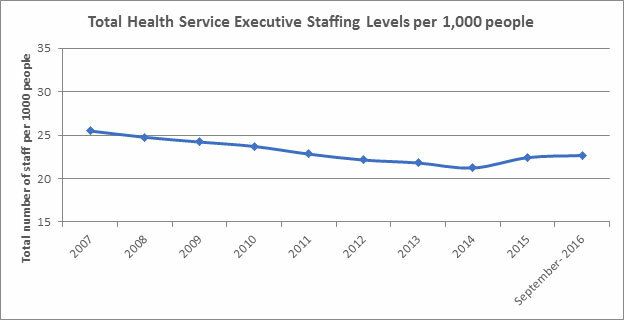 The graph below shows a decline in staffing levels during the years of the crisis. 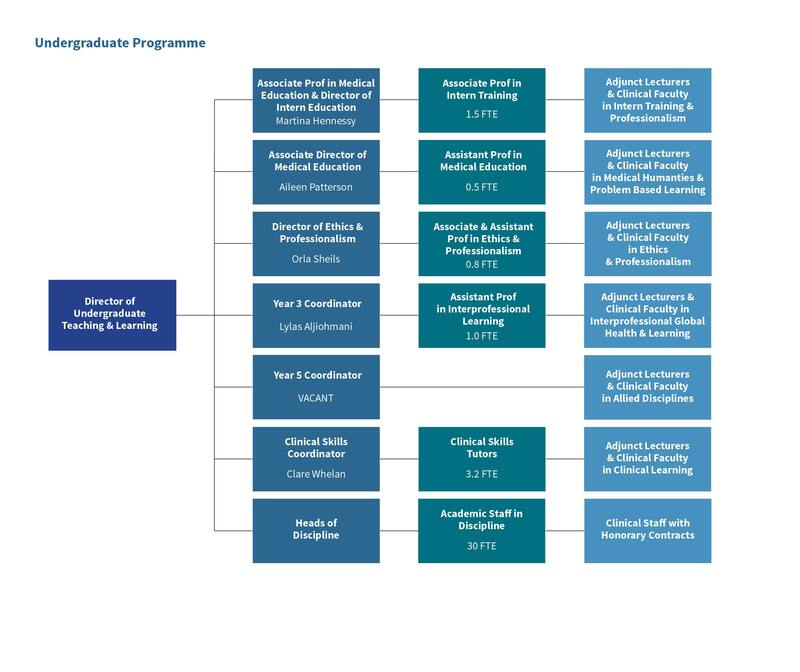 The pre-recession starting point was 25.5 per 1000 individuals in 2007 and 24.8 per 1000 individuals in 2008, declining to the lowest point in 2014 when the HSE employed 21.2 staff per 1000 people. Since 2015, we have seen the beginnings of a recovery and the latest data from September 2016, puts current staffing levels at 22.7 staff per 1000 people. As the economy continues to recover, we will expect to see staffing levels continue to grow.